I was on "The Five", (AKA "Be Prepared to Stop"), heading home from an appointment and I stopped in Laguna Hills, CA to knock off an errand. It was around lunchtime and I was unfamiliar with the food in the area so I did a local search on my iPhone. 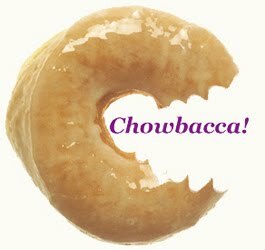 There it was among the fast food and gummy pizza: A deli I'd read about and hadn't tried yet. It was time. I'd been looking for something close by that could satisfy my cravings for a real Jewish deli. Was this the place? 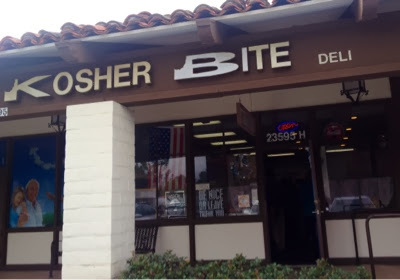 Kosher Bite is a small spot with some deli cases and a few plastic tables and chairs in a strip mall behind a bank. I walked inside. The woman behind the counter was calling everyone "honey" and "sweety". Check. There was light, friendly banter telling me that there was a regular crowd who like the place. Check. I must have gotten there at just the right time. There were only four people ahead of me in line, but within minutes there was a line out the door. The crowd was mixed, but was overwhelmingly filled with my adopted people. Check. My test of any deli is a simple one. I order a pastrami on rye with mustard and a side of potato salad. If they can't do that right good luck to them. I had a Dr. Brown's root beer as well. I was so eager to try my sandwich that when I heard "you're up, honey" I reached out for someone else's order. The woman at the counter smiled, gently slapped my wrist, and said, "Not you, honey. Her honey". It felt like home. The sandwich? CHECK. The potato salad was soooo good. CHECK. Pickle? Tasty! CHECK. At last. At last. A deli near-ish to me that didn't try to put avocado on my sandwich. I'm pretty sure that there wasn't an avocado within 100 yards of the place. CHECK*. The next day I found a reason *cough* to be in the area again. 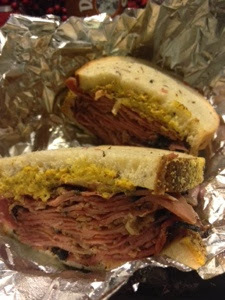 This time I had a corned beef on rye with mustard and a side of that great potato salad. CHECK. I also took home a half-pint of chopped chicken liver. CHECK. Next I try the matzo. At last. *I still love avocados, but give me a break!